Ron can be found sailing on Lake Winnipeg when not writing novels or critiquing for an on-line magazine He won first prize for a Canadian Authors Association contest for a ghostly love story, but his preference is for longer novel-length works including speculative fiction and medieval-style fantasies. 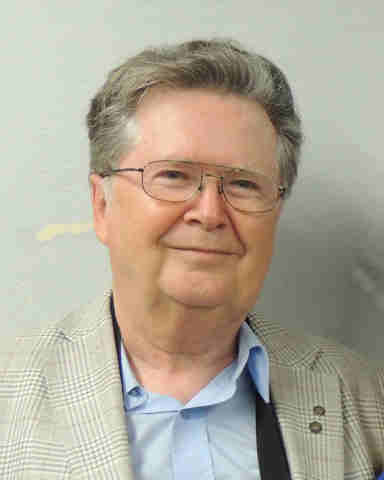 Writing as R.J.Hore and supervised by his understanding wife and a large demanding cat, most of his writing efforts continue toward fantasy, with occasional lapses into science fiction and horror. Thrown together in a barely conquered land, their lives entwined, they face their personal desires and the challenges of an occupied land, religious tension, and the threat of an invasion. Convert Fergus mac Ogma, youthful Irish acolyte of the god Tezcatlipoca, has a burning desire to survive and the will to become more than a native underling in a land controlled by the invaders from across the ocean. But Tezcatlipoca altars are drenched in the blood of his Christian countrymen and he finds himself at odds with all his family values. 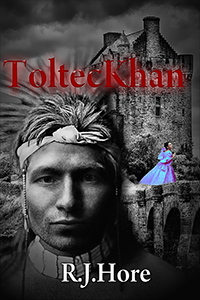 Captain Mixcoatl is settling in with his wife as commander of the Toltec fort at St Albans in the province of England. When the governor strips the province of troops to invade the Continent, he’s left with a skeleton force to hold the colony against the opportunistic invasion of the Scots. The young Saxon girl, Rowena, tried to flee England with her uncle, attempting to reach the Continent where the worship of the Christ still freely practiced. 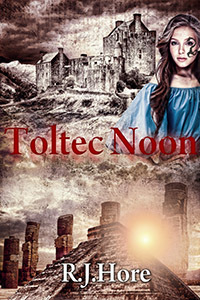 Thwarted, her uncle dead, Rowena finds herself a slave in Mixcoatl’s household. But when she’s taken by Normans supporting the Scots she’ll have to decide where her loyalties lay. Fergus, appointed Interrogator for the god Tezcatlipoca in England with the mandate to suppress or convert the native Christians, must find a way to work with the local priests of Tezcatlipoca and that god’s rival, Quetzalcoatl. With mounting feelings for Rowena, he finds himself caught in a delicate balance as a go-between for the people trapped in the fort, and the rebel forces surrounding them while fending of his family. Captain Mixcoatl’s loyalty is torn as his best friend throws in with the desperate governor and his scheme to turn the Toltec province into an independent kingdom. Outnumbered and beset, Mixcoatl must once again look to the sly King of Gwynedd for assistance to raise a force to save England and the life of his pregnant wife. But paying his price might be more costly than surrendering to the rebels. Rowena, maid to Captain Mixcoatl’s wife, finds herself on the parapet with her mistress staring down at a rebel army. Facing the final assault with a group of women and children, she must fight to save both their lives as the rebel forces break down the last barriers. 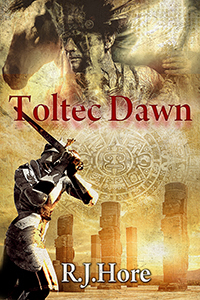 The fate of the Island Colonies hang in the balance, and three lives draw even closer, as forces clash over who will rule the overseas jewel of the Toltec Empire. Fergus continues to plot to gain more power in the devious world of London politics inside the capital of the English Province. Taking matters into his own bloodied hands, he lets nothing stand in the way of becoming the high priest. But there are others as ruthless as he. General Mixcoatl must lead an army into Scotland before he can assume the rank of governor of the province. Once in that precarious position, old debts and old passions will return to plague him and those he loves as a new and deadly crisis rises from across the ocean. Rowena’s lover has left her for the wars across the Channel and she fears he will not return, or if he does, it will be impossible for him to wed her and be a father to her unborn child. Hunted by assassins, she must leave those she loves and once more strike out on her own. Religious politics in the Empire blaze hot, wars rage and blood is shed as these three struggle, sometimes at cross-purposes, for power and the ultimate good of the land. 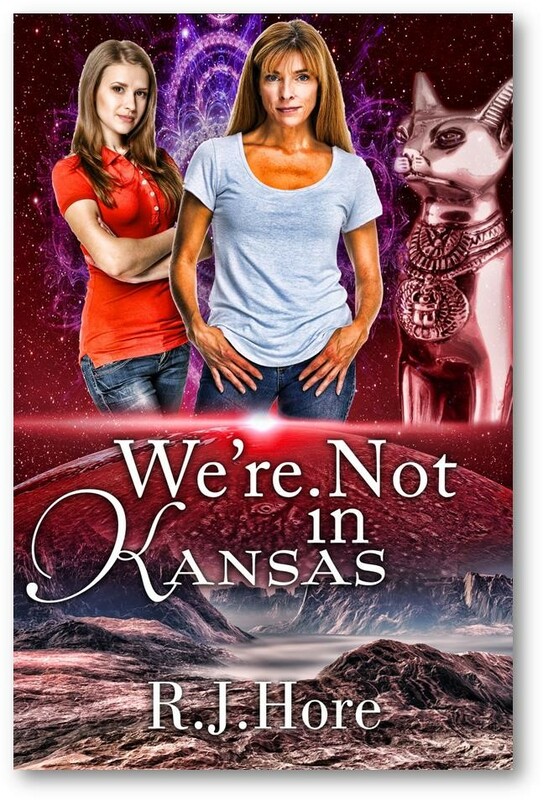 Archeologist and single mother Macy and her teenage daughter Tiffany are off to a dangerous part of the world, on a fool-hardy search for traces of the ancient Egyptian cat-goddess, Bastet. What they find is far more than they bargained for: a dangerous dictator, a mysterious police inspector, and a grizzled Indiana Jones look-alike. You might say the trip takes them right out of this world. Will they get home alive or simply disappear into very thin air? Set in the near future, with a blend of thriller and speculative fiction, and a hint of romance.